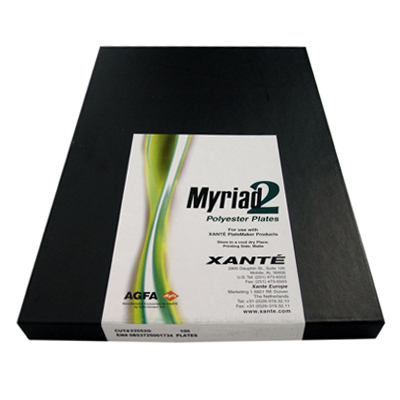 Offset printing plate media specifically designed for XANTE's PlateMaker printers. 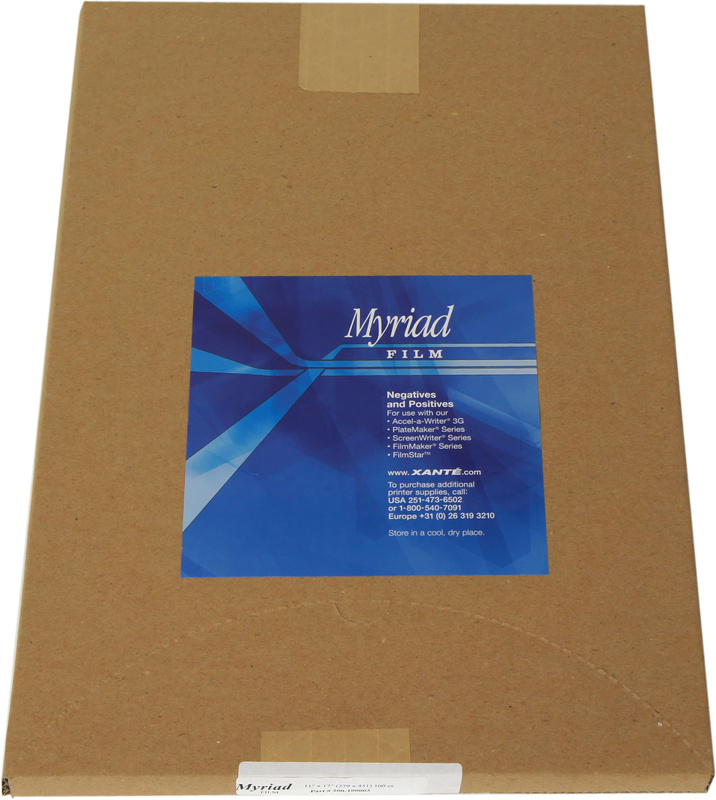 Myriad plates help eliminate traditional print shop steps and can run up to 15,000 impressions on the press. Specifically designed to clean Myriad 2 plates. 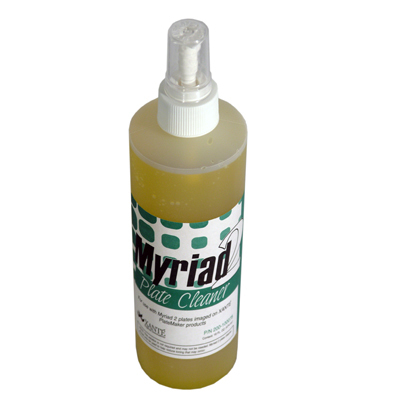 Standard plate cleaners may remove the image from the Myriad 2 plate; this cleaner is designed to clean the plate without harming the image. Polyester based clear film that allows you to print high-quality, fast turnaround positives and negatives directly from the desktop. 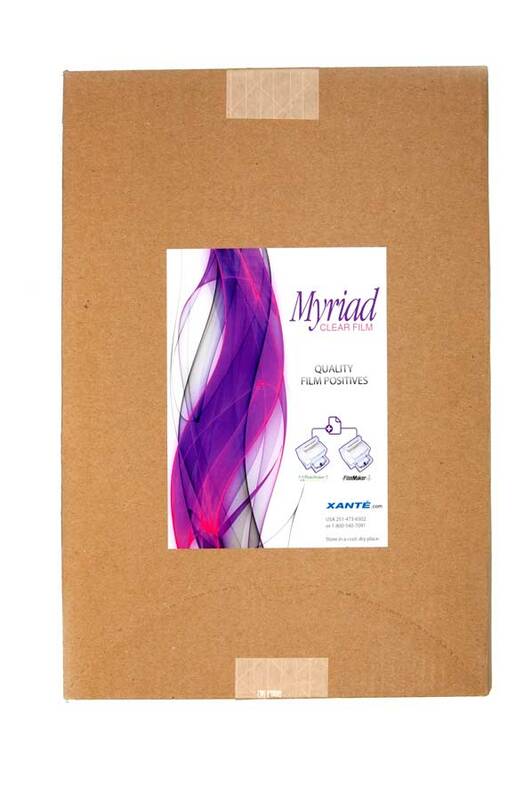 Myriad film does not require traditional processing chemicals and steps. Designed for use with the PlateMaker, FilmMaker, and ScreenWriter. Not compatible with PlateMaker 6.